Cityscape Abu Dhabi, a leading property investment and development event which opens next month in the UAE capital, will feature two prominent new-to-market entries - Sharjah's groundbreaking Tilal City and Masdar's sustainability project Siadah - that will be out to capture sales with strong infrastructure-and-payment pitches, said the organisers. 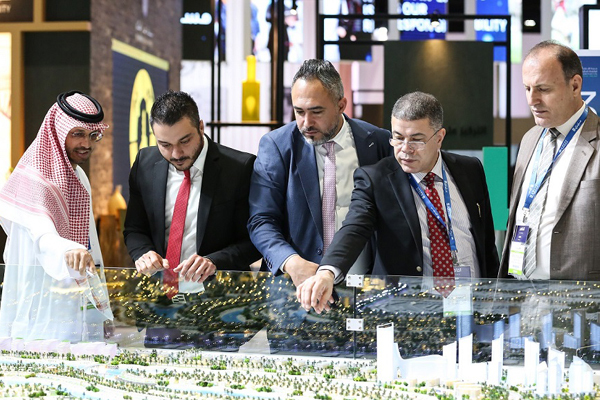 A major real estate industry event, Cityscape Abu Dhabi will be held under the patronage of HH Sheikh Mohamed bin Zayed Al Nahyan, Crown Prince of Abu Dhabi and Deputy Supreme Commander of the UAE Armed Forces from April 16 to 18 at Abu Dhabi National Exhibition Centre. Major developers out to lure Abu Dhabi’s property and asset investors maintain ready-made quality infrastructure and attractive payment plans are now key to closing land and villa sales with the UAE capital’s increasingly shrewd buyers, the organisers stated. Tilal, a joint venture between Sharjah Government and Eskan Real Estate Development, will launch the Tilal City mixed-use project - touted as ‘New Sharjah’ - with a unique mortgage-for-land offering. Tilal Properties Director-General Khalifa Al Shaibani said: "The land plots offered by Tilal Properties this year present a promising investment opportunity and meet the requirements of those seeking long-term residence in the UAE after retirement. It's undoubtedly a valuable opportunity for developers to take advantage of the City's advanced infrastructure." "Work will start over the coming three months to link Tilal City with key exits and entries on the Emirates Road," he stated. Al Shaibani said the UAE real estate market was one of the most promising in the region due to a myriad business opportunities, including attractive returns for investors. "This is why we've decided to participate in this year's edition of Abu Dhabi Cityscape to promote investment opportunities at Tilal City, in line with the vision of Sharjah government, to launch an innovative model city boasting a strategic location and offering an ideal opportunity for those wishing to own or invest in Sharjah," he stated. The City will combine Tilal Mall, which, upon completion, will be the largest fully-serviced business centre in Sharjah at an estimated gross area of 2 million sqft and a development cost of Dh1 billion ($272 million). A brand new sustainability project from Masdar-headquartered Siadah International Real Estate, the Siadah development will be unveiled at Cityscape Abu Dhabi with a special launch offer and payment plan aimed at environmentally-conscious buyers. CEO Said Chawqui Derradji said: "As part of the establishing team of Siadah Development, I believe that the fundamentals of every successful project are based on understanding the market needs and clients’ demands in terms of delivering quality real estate products and assuring that investors and end-users’ needs are met." More than 100 developers and suppliers, as well as some 15,000 plus buyers and investors, are expected at Cityscape Abu Dhabi.